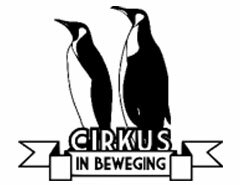 In 1993 “Cirkus in Beweging” was founded as the first circus school in Flanders. Today we are with our 1350 students and a large artistic range, one of the biggest educational circus houses in Europe, offering a well-structured educational and artistic practice. Every week we have 54 groups training in our school . Next to our weekly classes we organize circus workshops for people with less opportunities. Inclusion of 1 or 2 kids with social , physical or mental impairment in our 72 weekly groups. Weekly workshop in Fabota, playscheme for ethnic minorities ,on Friday. Weekly classes in circus and theatre for adults with special abilities . Teaching weekly circus classes in 2 prisons for men in Leuven. Intensive training of social workers to use circus arts in their playwork..
Specialised circus training during Easter holiday for teenagers with mental disability. A yearly teacher training course for new young teachers ( BIC 18 +) supported by the Circuscentrum. In doing circus movement, the physical actions and experiences, we gain confidence in ourselves and learn all the motor skills we need in live. Through circus movement we also learn about the others, we relate with them and form our personal social and emotional development. About circus movements : we teach children and teachers why we do what we do and how to do it; we educate them about the benefits of movement and circus.